Creating an atmosphere by treating the mixer as an instrument Alex Zermers continues to introduce something new to the audience. Captivating the moment in between to give indulgence on sound is vital to the originally born in Germany music major. At the age of 3 she was able to identify most classical artists, at the age 5 she started playing piano and at 7 she joined a classical orchestra. 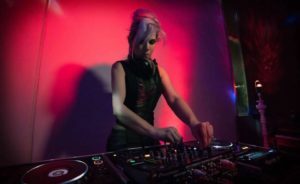 Graduating with music major she left Germany in 2006 and it was not until she reached the ocean of San Diego that she began to DJ from the bottom of her heart. Musical elements are extremely important while creating a sound bubble and yet she combines 7+ genres at every gig as she harmonizes in key.